It’s been 17 days since Alma Kakikepinace ate a good meal or slept in a real bed. But the 53-year-old resident of Sagkeeng First Nation said she’s willing to wait much longer before she gives up on her stand to improve housing on First Nations in Canada. Kristin Henry was taken to hospital on the evening of March 31 after she had carried out a hunger strike for nearly three weeks. Photo: The Georgia Straight. A young woman has been taken to hospital after falling ill nearly three weeks into a hunger strike she’s held in protest of the Site C dam. ince March 13, Kristin Henry, 24, has camped outside the BC Hydro building at 333 Dunsmuir Street. It has been 18 days since Kristin Henry has eaten. She has been on a hunger strike outside BC Hydro’s offices in Vancouver in protest over the building of the Site C Dam. 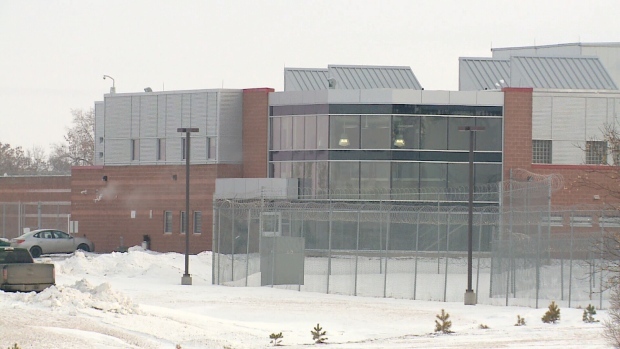 A hunger strike at Regina Provincial Correctional Centre has ended. Fifteen inmates at the jail had been refusing to eat in protest since Monday morning. 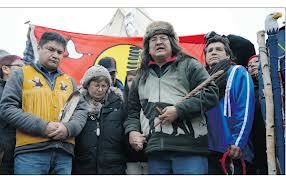 Raymond Robinson, on right carrying pipe, during fast with Theresa Spence.